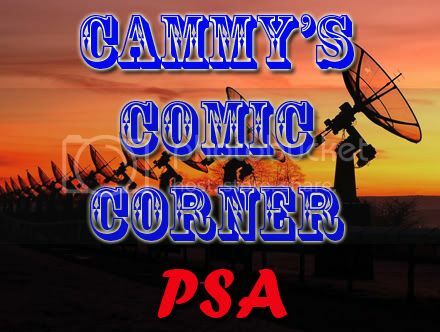 A public service announcement that will rock the very foundations of Cammy’s Comic Corner listeners everywhere. Viewer discretion advised. This entry was posted in Cammy's Comic Corner and tagged Cammy's Comic Corner, drinky talky, Evolution, monthly by Cameron. Bookmark the permalink.